Kaleena found CrossFit when a friend introduced her to the sport. The first workout was Fight Gone Bad, and she fell in love with the sport she realized she had been doing all her life. “I loved going to a gym and loved the functional movements,” she explains. “When I saw powerlifts and a clock on the board, I knew I had found my sport.” Some of Kaleena’s accomplishments include 2015 2nd Place CrossFit Games Team Division with CrossFit Milford, 2015 Wodapalooza 3rd place Elite Female Division, 2014 CrossFit Northeast Regionals 10th place, 2013 CrossFit Games 19th place with three 1st place finishes in individual events, 2013 CrossFit Northeast Regionals 3rd place, 2012 CrossFit Northeast Regionals 8th place, 2012 Hoboken Winter Challenge 1st place, and 2011 CrossFit Northeast Regionals 11th place. Certifications: NASM CPT, Crossfit Level 1 Certification, Crossfit Level 2 Certification, Crossfit Endurance Certification, Crossfit Movement and Mobility Certification, Crossfit Strongman Certification, Crossfit Gymnastics Certification, TRX Suspension Trainer Certification. Former regional athlete, Alfred Arango has been involved in the CrossFit world since 2008 and in 2009 decided to take it to a completely different level. 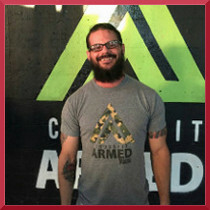 Since then he has attained his Certification as a level 1 CrossFit trainer as well as becoming an affiliate owner! 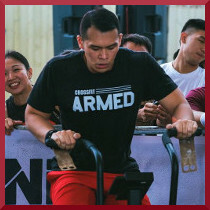 Alfred is also an Olympic Weightlifting and Endurance coach, has coached a number of Regional athletes, taken athletes to the CrossFit Games, and does individual programming for those that desire to improve their athletic abilities! Christine Bagiotti is from Hollywood, Florida. She has been part of the Fitness Industry since 2003. Christine takes pride in her level of responsibilities that she gives to clients. She possesses the ability to work with clients that range from athletes to the general public of all ages and fitness levels. 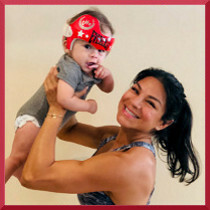 Certified under Chief Instructor, Pavel Tsatsouline, as a Level II RKC Instrutor in proper Russian kettlebell training has allowed her to host many workshops and help promote kettlebell training in the state of Florida. She is a Level I Crossfit Instructor and certified CrossFit Kettlebell Instructor as well. Kevin is 24 years old, born and raised in the Philippines and migrated to Miami with his family. He started CrossFit three years ago. Prior to CrossFit, Kevin was not involved in any sports. When he discovered CrossFit, it changed his world. Today Kevin is an avid CrossFitter and is always willing to participate in local competitions. When he isn’t training at the box, you can find him at Lululemon in Aventura where he works as an Educator on the sales floor and as their marketing director for Social Media. Carole was born and raised in Miami. In her early days she was active in multiple sports including Volleyball Cheer-leading and Ballet, which lead to her passion for fitness. Carole participated in traditional weight training until she discovered CrossFit ten years ago. Since that time she has completed her level 1 and level 2 certifications and coaches part time, all while managing her real estate career and family with three boys Cooper, Parker and Paul. 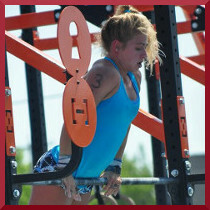 She loves the feeling of community and the variety of challenges CrossFit presents. Fernanda is from South Brazil and chose Miami as the place to spread her passion for fitness! She started to Crossfit in 2014 to improve her performance as a kickboxing athlete but fell in love with it. Putting her gloves a little bit aside, she started to dedicate herself totally to Crossfit by training and participating in competitions. 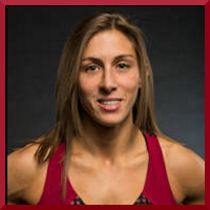 Crossfit Level 1 Trainer, Fernanda is also Kickboxing Coach and Fitness Nutrition Coach Certified. Kyanna is a born and raised Jersey girl. She received her Bachelor’s degree from The Ohio State University in 2017 and is currently working on her Master’s at Barry University. She currently works as an Athletic Trainer with the Barry University men’s soccer team. She is a former lacrosse player and swimmer. 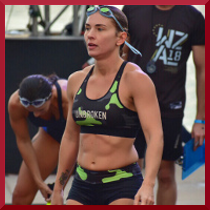 However, because she was missing the intense competitive atmosphere, she joined CrossFit which has allowed her to challenge herself, remain healthy and continue to compete with herself and others. She has been doing CrossFit for 5 years and has recently decided to join the team and spread her love for the sport by coaching. Frank Murphy has been part of the fitness industry for fifty years. Frank grew up playing football and other sports. At the age of 17, he joined the US Army as a recon scout. While in the army, Frank continued to play football and started boxing. After his military career, Frank became heavily involved in martial arts. In 1987, Frank opened his first gym in Jacksonville, FL. 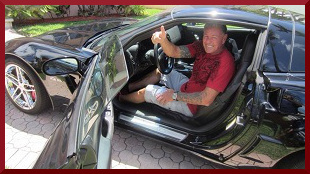 Since then, Frank has owned and operated US1 Fitness Center in North Miami. Frank was introduced to Crossfit in 2010. CrossFit continues to offer Frank that competitive edge that all athletes look for. Frank’s goal is to have one of the best CrossFit and athletic training facilities ssible and to be a reminder that anyone can train hard and get great results, regardless of age.